Where on Earth is the safest place for an asteroid to hit? It would seem that each would have different materials ejected, displaced. Would one of them be "better" than the others? 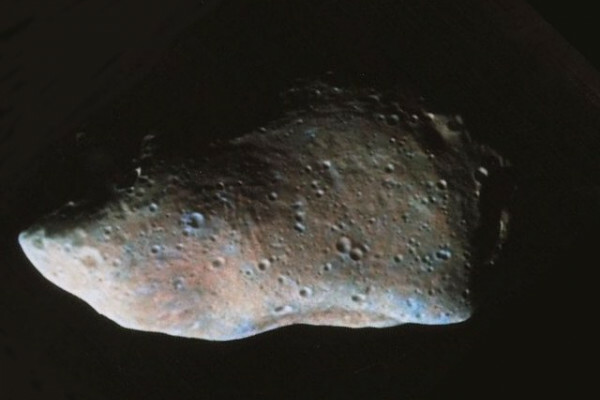 We put this to Heather Jackson, National Museum of WalesIf you imagine the size of this potential asteroid it's perhaps ten kilometres across, similar to the one which fell in Mexico 65 million years ago. Wherever it hits it's going to be incredibly destructive. The most devastating impact is likely to be in the ocean because it potentially could cause tsunamis and the least destructive would be if it were to hit a poorly populated area, perhaps like Antarctica. The size of this object is something the size of Cardiff travelling at 25 times the speed of sound the compressed column of air travelling in front of it would heat the ground to almost as hot as the surface of the sun. The blast wave would kill anything within about 250km instantly. The real killer would be the atmospheric effects that would be caused by the vaporisation of rock, particularly if that rock contained large amounts of sulphur because that could lead to severe acid rain. Predictions as to the size of the waves produced if it fell in the ocean vary but it's clear that a large impact would drown coastal areas, which is where most of our population live. The pacific coast of Asia is a particularly deadly place for an asteroid to strike because of the population density there and the potential for tsunamis. Overall the worst effect would be caused by a meteorite falling into an ocean; perhaps not particularly deep, about 2km deep, causing a tsunami and then vaporising sea bed sediments which contain a lot of carbon dioxide and a lot of sulphur which would cause climate change for years to come. Previous Is the Earth losing water into space? Next How do sunflowers follow the sun?